Our line of miniature plates and dishes are the perfect way to showcase your culinary creations! 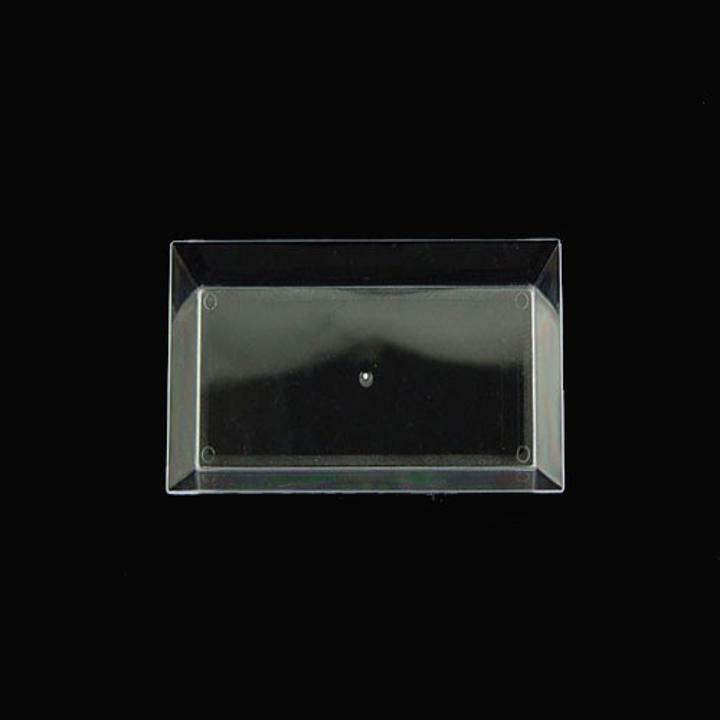 Made of premium plastic, these miniature rectangle trays feature a beautiful, modern design that is certain to make a bold statement at your next event. Great for desserts, tasting dishes, or palate teasers! 3.25 in. x 2.25 in. L: 3.25 in. W: 2.25 in. H: 2.5 in.